THOUSANDS BELOW MARKET PRICE!! !NO DEALER FEE !!! WE SHIP TO 48 STATES!! FREE AIRPORT PICKUP AND FREE TEMP TAG FOR OUT OF STATE BUYERS THAT COME TO PICK UP THE VEHICLE HERE!!!!! CALL WITH ANY QUESTIONS 888-785-0507 OR EMAIL 1888MOTORS@GMAIL.COM !!! **!!! THIS VEHICLE WAS IN ACCIDENT BEFORE AND IT HOLDS CLEAN TITLE**!!!! Visit USA Cars online at WWW.USACARSFL.COM to see more pictures of this vehicle or CALL at 888-785-0507 today to schedule your test drive. VIN decoding /vehicle features are provided by third party company, seller does not guarantee that all features are accurate. Go to: http://freeautohistoryreport.net/disclaimer.html, to read full warranty disclaimer. Buyer acknowledges and agrees that the Vehicle is being sold "AS IS" and "WITH ALL FAULTS" by Seller. MANUFACTURE WARRANTY MAY APPLY. Seller is not making any warranties, express or implied and SELLER EXPRESSLY EXCLUDES ANY AND ALL IMPLIED WARRANTIES, INCLUDING, BUT NOT LIMITED TO, ANY IMPLIED WARRANTIES OF MERCHANTABILITY, FITNESS FOR A PARTICULAR PURPOSE AND ALL OTHER WARRANTIES OF ANY NATURE. Visit USA Cars online at usacarsfl.com to see more pictures of this vehicle or call us at 888-785-0507 today to schedule your test drive. Buyer acknowledges and agrees that the Vehicle is being sold “AS IS” and “WITH ALL FAULTS” by Seller. Seller is not making any warranties, express or implied and SELLER EXPRESSLY EXCLUDES ANY AND ALL IMPLIED WARRANTIES, INCLUDING, BUT NOT LIMITED TO, ANY IMPLIED WARRANTIES OF MERCHANTABILITY, FITNESS FOR A PARTICULAR PURPOSE AND ALL OTHER WARRANTIES OF ANY NATURE. Seller expressly does not warrant the correctness of the odometer reading, year of manufacture, make, model, class or style, prior use or condition of the Vehicle. Buyer acknowledges that prior to the sale, Seller has provided to Buyer the opportunity to inspect the Vehicle or have it inspected by a mechanic of Buyer’s choosing at Buyer’s expense. By accepting delivery of the Vehicle Buyer agrees that the condition of the Vehicle is satisfactory and acceptable. Buyer agrees that any and all advertisements relating to the Vehicle are not warranties made by Seller and that they should not be relied upon by Buyer in making this purchase. Seller disclaims all liability for any mistakes, inaccurate descriptions or other misstatements in its advertisements and Buyer agrees that Buyer’s opportunity to inspect the Vehicle allows Buyer to verify the accuracy of any advertisements before purchase. Vehicle history reports provided by third parties, such as Carfax.com and/or Autocheck.com and/ or Nmvtis and/ or any other may not be current and/or accurate and Buyer relies on such reports at his or her own risk. These reports are not substitutes for having the vehicle inspected by a mechanic. Dealer is not making any representations or warranties relating to such information. Vehicles listed for sale at USA CARS may have been reported to the National Motor Vehicle Title Information System (“NMVTIS”). The information may include previous damage history, title history and auction information. Each buyer accepts all risks associated with purchasing vehicles at USA CARS resulting from the reporting of the vehicle or the purchase transaction data to NMVTIS by different auctions or other sources. USA CARS does not guarantee clean (non-branded title) title in any other states other than Florida. It’s solely responsibility of the buyer to contact DMV in his/her state prior to purchasing the vehicle to confirm that above vehicle can be titled as clean title vehicle in his/her state. Buyer understands and agrees that Seller’s managers, employees, agents and/or representatives are NOT authorized to make verbal promises or representations relating in any way the Vehicle. Buyer agrees that unless such promises or representations have been reduced to writing as part of this Order, that Buyer is not relying on such promises or representations in purchasing the Vehicle and Buyer waives the right to seek to enforce such promises or representations. Buyer acknowledges that the Vehicle being purchased was acquired by Seller through trade, a public or private sale or at an auction under circumstances in which the prior owner’s registration and/or use of the Vehicle may not have been disclosed to Seller. Even if not designated on this Order, Buyer acknowledges that the Vehicle being purchased may have been titled, registered or used as a (a) short term lease vehicle, (b) taxicab; or (c) police vehicle. In addition, the Vehicle may be (a) rebuilt, assembled from parts, or combined; (b) a kit car, glider kit, replica vehicle; (c) a flood vehicle;(d)a not actual mileage vehicle and/or (f) a non-conforming vehicle as that term is defined under Chapter 681 of the Florida Statutes. It is Buyer’s sole obligation to independently verify the Vehicle’s prior use or designation prior to purchase, if these items are material to Buyer. Buyer expressly acknowledges that the Vehicle being purchased under this Order has been involved in a prior accident and that it has sustained damage as a result of such accident. The damage to the Vehicle may include damage that resulted in the Vehicle being deemed a total loss by an insurance company. The Vehicle's status as a total loss vehicle may or may not be reflected on the Vehicle's certificate of title and/or in the Vehicle's title history. Buyer does not rely on any statements from Seller relating to the severity of the accident or nature or quality of the repairs. These repairs could include blown airbags being replaced with used or new airbags. Seller makes no representations or warranties relating in any way to the quality or nature of such repairs and whether such repairs could affect the safety or reliability of the Vehicle. Buyer's opportunity to inspect or to have the Vehicle inspected, as outlined above is specifically designed to allow Buyer to fully and completely assess the Vehicle prior to purchase. The purchase price for the Vehicle has been negotiated by the parties by taking into consideration the prior accident damage and the current condition of the Vehicle Seller makes no warranties, representation or assurances that the motor vehicle contains only original manufacturer installed or manufacturer rebuilt components, parts or accessories. In addition to other warranties made in this Order, Buyer expressly warrants the following: (a) To the extent that Buyer seeks financing for the Vehicle, Buyer warrants that all information contained on any credit application or other document submitted to Seller in order to obtain financing is true and accurate. Buyer acknowledges that the price of the vehicle is not effected by Buyer’s decision to finance the Vehicle or based upon the financial institution through which Buyer elects to finance the Vehicle. (b) To the extent that Buyer is trading in a vehicle (hereinafter “Trade”) as part of this transaction, Buyer agrees to provide satisfactory title to such Trade. Buyer warrants that the Trade is free and clear of all liens and encumbrances, other than those disclosed above. Buyer warrants that Buyer is the sole owner of the Trade and that Buyer has the right to assign title to the Trade to Seller. Buyer warrants that the Trade is in good operating condition and that it has not suffered accident or collision damage of which Buyer is aware. (c) Buyer warrants that Buyer has and will maintain full liability and comprehensive insurance coverage on the Vehicle. (d) Buyer warrants that this Order and any accompanying finance documents are complete and accurate at the time the Buyer signed them. (e) Buyer warrants that Buyer is over the age of 18, of sound mind, not under the influence of any drugs or alcohol and is otherwise competent to enter into this transaction. In addition to all other rights and remedies available to Seller at law or in equity, Seller has the following rights and remedies under this Order: (a) Reclamation. – Seller may enter into Buyer’s property and reclaim the Vehicle with or without notification to Buyer. Seller may also make a written demand on Seller to return the Vehicle and Buyer agrees to do so within 24 hours of such demand. (b) Disposition of Trade – Buyer agrees that immediately upon Buyer’s execution of this Order, Seller may dispose of Buyer’s Trade in any commercially reasonable manner, including the sale of the Trade to a third party, retail or wholesale. In the event that this Order is not completed for any reason or in the event that it is rescinded for any reason, Seller agrees that Buyer may retain the proceeds of the sale of the Trade to offset its damages, if any. If Seller does not have any damages relating to rescission or failure of this Order to be completed, Seller may retain any costs and reconditioning expenses relating to the sale plus a 15% commission on the sale from the sale proceeds. The remaining amount shall be delivered to Buyer in full satisfaction of any claims relating to the Trade. (c) In the event that Buyer pursues any claim for rescission of this transaction, Seller shall have the right to set off against Buyer’s damages or to assert as an independent claim, a claim for the reasonable value of Buyer’s use of the vehicle, including depreciation and mileage of the Vehicle. If any term of this Order is held to be unconscionable or unenforceable, for any reason, by any court of competent jurisdiction, this Order shall be construed as if such clause were never a part of this Order and the balance of the terms of this Order shall be binding on the parties. The waiver or invalidity of any provision of this Order shall not affect the binding nature of the remaining provisions. No breach of this Order by Buyer shall be deemed waived unless such waiver is agreed to by Seller in writing. The parties agree that any modification of this Order must be made in writing and signed by the parties in order to be valid. Buyer agrees that if the Vehicle is to be shipped, that shipping is Buyer’s responsibility. To the extent that Seller assists Buyer in arranging for shipping, such arrangements are made as a courtesy to Buyer and do not create any liability or responsibility on the part of Seller. Buyer agrees that all risk of loss transfers to Buyer upon delivery of the Vehicle to Buyer’s carrier and Buyer appoints such carrier as Buyer’s agent for purposes of accepting delivery of the Vehicle. Buyer agrees that Buyer’s deposit /down payment on the Vehicle is non-refundable, unless otherwise agreed to in writing by Buyer and Seller. 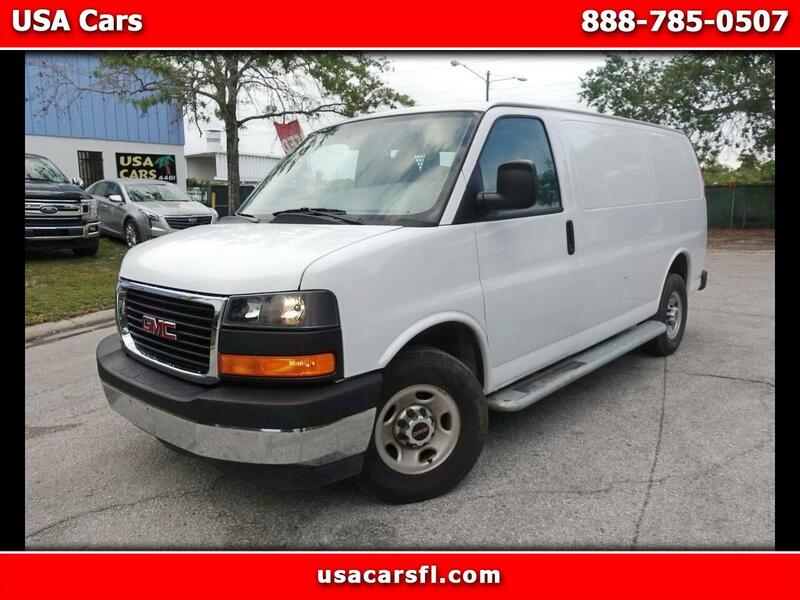 Buyer agrees that the Vehicle has been delivered to Buyer and Buyer accepts delivery of the Vehicle in Florida, at Seller’s principle place of business. If Buyer is shipping the Vehicle out of state, then the person accepting delivery of the Vehicle for Buyer shall be deemed Buyer’s agent for accepting delivery of the Vehicle in Florida. This Order and the entire transaction between the parties shall be governed by Florida law. This Order supersedes any and all prior and contemporaneous verbal or written agreements, representations and/or understandings between Buyer and Seller. The terms, representations and conditions set forth in this Order, and any applicable financing agreement, constitute the entire agreement of the parties. The parties to this Order hereby agree that any and all Claims (defined below) shall be decided through binding arbitration as provided for herein. For purposes of this Arbitration Agreement: Us/Our means Diamond Financial Enterprise, Inc. d/b/a USA CARS and/or "Seller" (as identified in any accompanying Retail Installment Sales Contract), as well as their individual and/or collective parents, subsidiaries, affiliates, predecessors and successors in interest, and agents, and all of their officers, directors and employees. Us/Our also includes any assignee or holder of the Retail Installment Sales Contract, any finance company that extends credit to You as part of the Transaction or that acquires any interest in the Retail Installment Sales Contract after you execute it, as well as any third party alleged to be Our agent or to be acting on Our behalf. You/Your means the customer signing this agreement as well as anyone acquiring any interest in the vehicle that is part of this Transaction, as well as anyone making a claim by or through them on their behalf. Transaction means your purchase and/or financing of the vehicle from Us. Arbitration Agreement means this Arbitration Agreement Claim means any claim, dispute or controversy between you and us arising from or related to: 1) the Transaction; 2) any negotiations, disclosures and/or representations relating in any way to the Transaction, including, but not limited to any issues relating to the advertising of the vehicle or representations made prior to the Transaction; 3) the vehicle acquired as part of the Transaction, including its condition, prior use or status; 4) Our efforts to collect any amounts due under the contract or as part of the Transaction; 5) Our recovery or attempted recovery of the vehicle; 6) the extension of any credit to You; 7) the terms and conditions of any Retail Installment Sales Contract or finance agreement relating to the vehicle; and 7) the validity, enforceability or scope of this Arbitration Agreement. For purposes of this Arbitration Agreement Claim has the broadest possible meaning. It includes claims of every kind and nature regardless of who initiates it. This Arbitration Agreement requires that all Claims be arbitrated before an arbitrator instead of litigated in court with a Judge and/or a jury. The Claim shall be arbitrated on an individual basis and not as a class action. This Agreement applies to all Claims, even Claims that existed before you sign it. All Claims shall be resolved by arbitration in accordance with this Agreement. Either party may demand that a Claim be arbitrated and enforce the rights under this Agreement by obtaining a court order requiring that a Claim be decided through binding arbitration. In any arbitration under this Agreement, a single arbitrator shall decide the dispute. The arbitrator shall be a retired judge or an attorney that has been practicing law in Florida for at least 15 years. If the parties are not able to agree upon an arbitrator, then either party may request that a court of competent jurisdiction appoint an arbitrator in accordance with the provisions of Florida's Arbitration Code. If there is to be an in person arbitration hearing, it shall take place in Pinellas County, Florida. The party initiating the arbitration shall pay any filing fee required to institute such a proceeding. Thereafter, each party shall be responsible for half of the fees and expenses related to the arbitration. If one party cannot afford the arbitration fees, the other party may elect to pay the full amount of the arbitration fees and expenses. The arbitrator shall have the right to award arbitration costs if applicable law allows for such an award. Each party shall pay its own attorneys’, experts' and witness fees, regardless of who prevails in the arbitration, unless the law gives a party the right to recover any of those fees from the other party. If the law allows for an award of such fees, then the arbitrator may award them as permitted by such law. The Federal Arbitration Act (“FAA”) governs this Agreement, except for the provisions dealing with the appointment of an arbitrator which shall be completed in accordance with Florida's Arbitration Code. In rendering any decision relating to a Claim, the arbitrator shall apply all applicable substantive laws, including statutes of limitation. Miscellaneous. This Agreement survives payment of all You owe under any related Retail Installment Sales Contract or financing agreement and this Agreement remains binding upon the You and US even if the Retail Installment Sales Contract or financing agreement is assigned to a third party. It also survives your bankruptcy. If a court or arbitrator deems any part of the Arbitration Agreement invalid or unenforceable for any reason, the invalid or unenforceable provision shall drop out of the Arbitration Agreement and the remaining parts of this Arbitration Agreement shall be enforceable despite such invalidity.